Fast food restaurant chain KFC filed a lawsuit against three companies in China on Monday, who have allegedly spread untruths online. 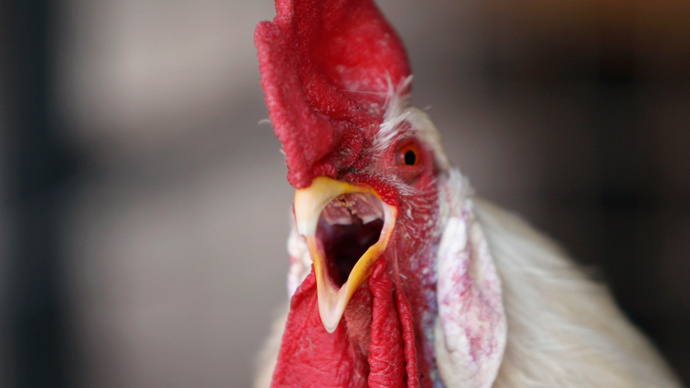 KFC said its competitors claim the American food giant has used eight-legged GM chickens. The three firms in China allegedly used social media accounts to spread fake stories about the food used by KFC (Kentucky Fried Chicken), the company said in a statement posted on its Chinese website on Monday. KFC specializes in fried chicken and is China's biggest restaurant operator with over 4,600 restaurants. It claimed one of the prevalent fake stories was about its chicken being genetically modified. Rumors had it that GM chickens used by KFC had six wings and eight legs, the company said. The companies operated accounts on the popular mobile phone app WeChat. KFC is now seeking an immediate stop to their infringements, and demands 1.5 million yuan ($242,000) and an apology from each of the three competitors, AP reported. The case was accepted by Shanghai Xuhui District People's Court, the agency added, citing a press officer. The case filed by KFC comes amid the Chinese government's efforts to help companies quash malevolent rumors on social media. The campaign targets internet marketers who try to manipulate public opinion by deleting critical posts, or spreading false information about competing firms online on behalf of their clients. KFC's China CEO praised the authorities' "stepped-up efforts... to purify the online environment," saying the government clean-up has "offered us confidence and weapons," Qu Cuirong said in a statement, as cited by AP.